If you decide to stay with us , we will meet you at the Lodge with the Keys and show you where everything is , + we will be on site if you have any problems , or need any local directions. Hi If you want a fun and fantastic family holiday please try our expansive clean comfortable home from home log Cabin on the North Wales Lynn Peninsula. We will meet and greet you with the Keys at a time convenient for you after 2pm to show you around our lodge or collect keys from our secure on sitea key lock. We have fantastic reviews/ views of the Cadair Idris Mountain Range , Snowdon of course and the Inviting Irish Sea. 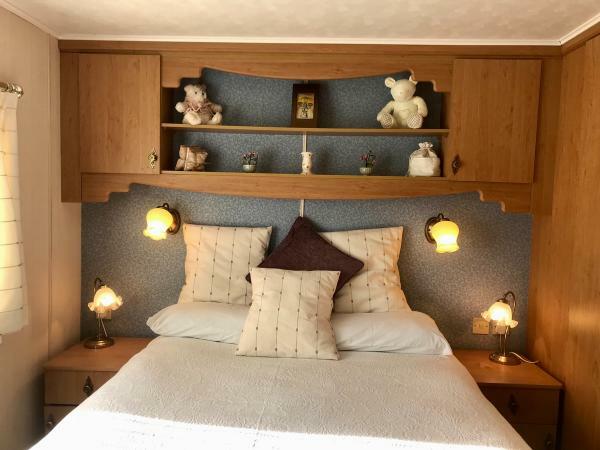 Situated at Hafan Y Mor 5 Star Holiday Park our large comfortable double bedroom is available whilst guests can take their pick of the twin divans in the other 2 Bedrooms all 3 Bedrooms have plenty of Wardrobe / Cupboard storage. Gas Shower in the main Bathroom over the full size Bath / Toilet and Washbasin are standard too however if Bathroom 1 is not available don't worry if it's urgent as Bathroom 2 has a Toilet and Washbasin also. Our Guests like the open plan Lounge / Kitchen as you are not isolated from the fun and family time. It's possible to watch the large Flat Screen TV , and keep your eye on the kids while Cooking lunch/dinner in the Kitchen with full facilities including a Washing Machine and mid size Fridge Freezer/Fridge/Microwave etc. Previous guests regularly order grocery from local retail outlets ( groceries can be ordered for delivery from Asda or Iceland only 4 miles away ) sit back and relax when sitting on the Leather Settee in the Lounge looking through the Double Patio Doors across the Decking and views. 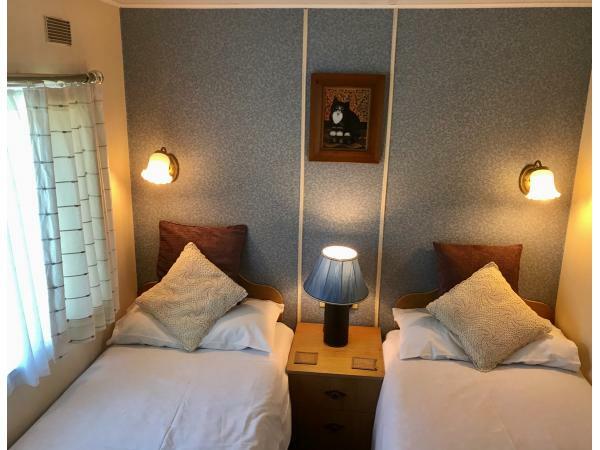 In the evening when the kids are in bed tired out after using all the facilities on site, chill out with a glass of wine on the rear Sun Deck ( if your lucky) txt Phil 07449030511 or Sandra 07563500241 For your stay you will need to bring duvet covers ,bottom sheets, pillow cases, towels etc. This is our 4th visit to this wonderful cabin. The accommodation is always clean, comfortable and homely. We never have any complaints, and always look forward to our next visit. It was our first stay at your lodge and was the best accomadation we have ever stayed in on park .it was home from home everything you needed was there well equipt. Beds where comfy .lodge was spotless clean .it was a pleasure to meet you both lovely couple .nothing was to much trouble for you .go out your way to help us .we will most certainly be booking again very soon once again thank you both for letting us stay .we all had a great holiday. We have just spent a week here in Phil and Sandra's lodge. The accommodation was second to none . 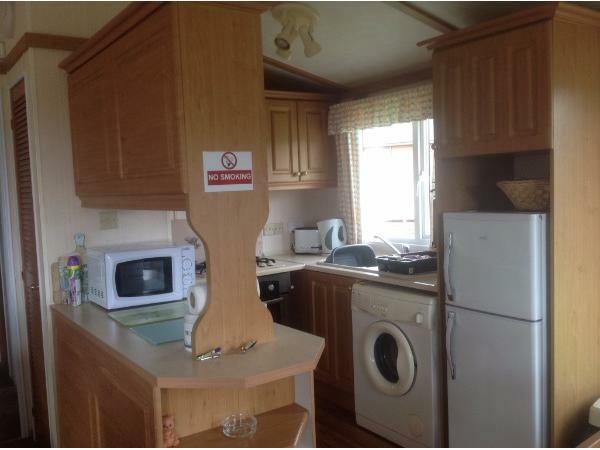 it was spotless and very comfortable with everything you could need in a home from home holiday. Phil and Sandra were very helpful and are very nice people who will answer any questions you ask or they will be there for you if you encounter any problems. The views from the lodge are spectacular especially first thing in the morning as the sun rises over the mountains. I would highly recommend this holiday as there is something for everyone. Overall a great week and great hosts. Well, here we are again! We cannot add anything to our previous reviews i.e. The Lodge is spotlessly clean with all the necessary facilities. The owners, Phil and Sandra, make us very welcome. This is the third time we have been here, this last time without the grandchildren. It was very relaxing. The Lodge has a good view of the sea and the site is ideally situated to visit local activities - The Steam Trains from Porthmadog, the historic castles, scenery and the fantastic beaches. We would highly recommend a "stay" at this location. This is our second visit to Phil and Sandra's Lodge. We were greeted with a warm welcome as last year. As before the Lodge was clean and had all facilities needed. The bedrooms were large i.e. double and 2 twins. Our daughter-in-law commented that she had not had such a good sleep for ages. The grand children enjoy the facilities at this park, which are numerous. They used the swimming pool every day but we found the best time was late afternoon. The Lodge is in an excellent position and we would certainly recommend and we look forward to seeing them again. Great lodge. Clean and spacious. Beds are really comfy. Everything you need in a fab location on a brilliant park. Everthing was good, Phil and Sandra particularly helpful. Thanks again! Elaine. What a wonderful lodge and wonderful owners. Sandra and Phil were unfailingly helpful and considerate throughout the booking process and the weekend break. The lodge was immaculate, spacious and lovely and cosy, and the view was breathtaking. We look forward to seeing you in November, and from my point of view, hopefully before. Thanks again. Great value for money. Thank you for a great stay in your lovely holiday home. Look forward to coming again. Phil and Sandra were a great help. My wife and I, our son and his wife and two children age 8 and 7 have just spent a week at this lodge. We received a warm welcome from Phil and Sandra, they gave us a tour of the Lodge which is in excellent condition, extremely clean and furnished with free standing comfortable furniture, good size beds and bedrooms. 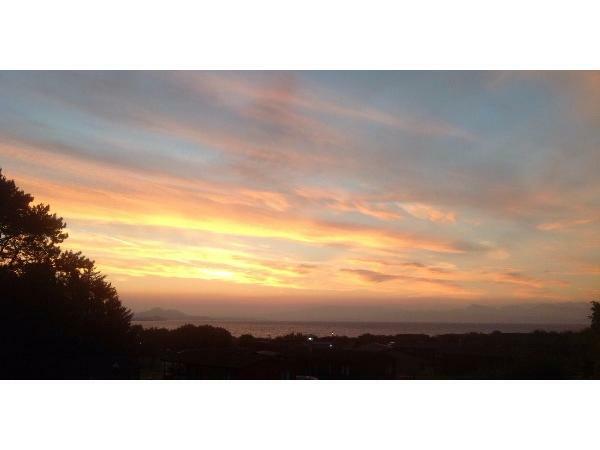 Fantastic view of the sea and Welsh hills from the veranda. Situated in a quiet part of the site. Haven site is well looked after and the amenities are first class. We are looking forward to returning next year. We had a great holiday. The lodge is comfortable and in a brilliant location on the site. Close to the beach path, close enough to the amenities but without noise and disruption. Lovely quiet area on the park. This is our second stay in this lodge and would book again without hesitation. Thank you to Phil and his lovely wife for making us so welcome. We had a good holiday in the lodge, it was comfortable, spacious and clean. Phil and Sandra where very hospitable and did everything possible to make our stay enjoyable. We have made two good friends and will book again without hesitation. Our family of 2 adults and 3 children aged 8,8 & 4 stayed in this lodge for a 7 night break in July 2014. The booking process was straightforward, Phil was very helpful and answered all of my questions promptly. The location of the lodge was perfect for us, away from the hustle & bustle yet still within a pleasant walking distance from the main entertainment venues, playground, shop etc. 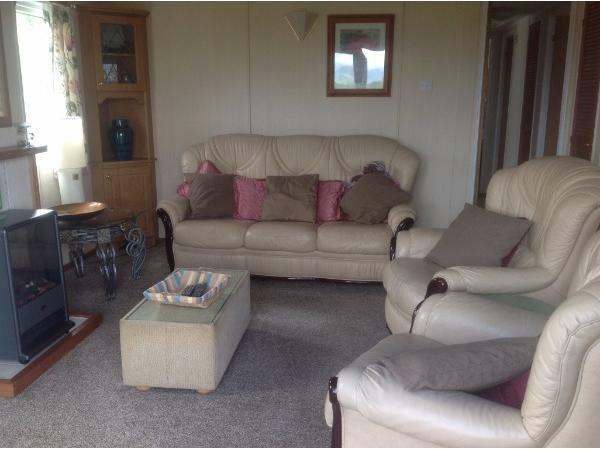 The lodge itself is spacious and spotless with a real home from home feel. Phil & Sandra were accommodating and made us feel very welcome, taking time to chat and even gave us a quick call after check in to make sure that everything was OK for us. It's the little things like that that make a real difference. 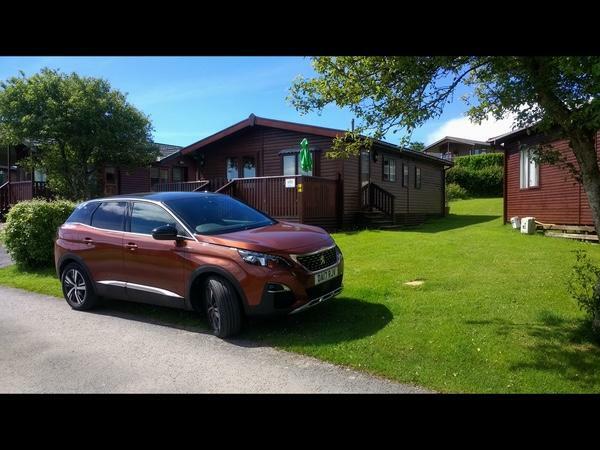 This was our 3rd time at Hafan Y Mor, our first time booking direct with an owner and it will not be our last - the children are already asking if we can go back to Phil & Sandra's next year! Just spent a wonderful time in Phil and Sandra's lodge. Very light and spacious and extremely comfortable. Front decking area is wonderful for sitting out at night and has spectacular views. We were the first to use the new patio furniture at the lodge - the parasol came in very handy in the gorgeous weather. Not mentioned is the lockable gateway at the top of the steps which allows you to open both doors whilst your child/children are safely 'trapped'. Fab idea! The lodge has three good sized bedrooms, two toilets and a bath(!) with shower over and a fab open plan living/kitchen/dining area. Phil and Sandra are fab 'hosts' who ensure that you have a relaxing comfortable holiday. Thank you! We have just come back from a lovely week in this beautiful lodge. We could not have asked for anything better, except the weather, but it did not spoil our holiday. Sandra and Phil could not have been more helpful, altogether a lovely holiday, looking forward to returning very soon. Thank you again for a lovely stay.Thank you. Had a really fantastic weekend in a really lovely family lodge. Both the lodge and camp facilities were excellent with something for everyone. Big thank you to Sandra and Phil for making us feel so welcome. Would highly recommend their lodge and hospitality. HAVE NOT STAYED ON THIS SITE BEFORE AND DECIDED TO GIVE IT A TRY FOR THE EASTER WEEKEND.IT TURNED OUT TO BE ONE OFF THE BEST WEEKENDS WE HAVE SPENT ANYWHERE.THE OWNERS OF THE LODGE WERE VERY FRIENDLY AND EXTREMELY HELPFUL.THE LODGE WAS ALL WE WOULD HAVE HOPED FOR AND WE WOULD RECOMMEND IT TO ANYONE WHO WAS THINKING OF SPENDING SOME TIME AT HAFAN Y MOR. LOVELY COASTAL WALKS WITHIN TWO MINUTES OF THE LODGE AND LOVELY VIEWS FROM LODGE VERANDAH. WE WERE LUCKY WITH GOOD WEATHER AND THE HAFAN Y MOR SITE AND FACILITIES WERE SECOND TO NONE. WE FEEL SURE THAT ANYONE TRYING IT WOULD CERTAINLY NOT BE DISAPPOINTED. GOOD EXPERIENCE ALL ROUND.